A number of new features have been added to make driving even more comfortable, and this includes new interior upholstery and finishes. The drivers’ seat is now height adjustable for extended comfort and convenience. The steering wheel is all new, with a flat bottom to give it a sporty feel and with multi-function buttons on the top models. The top end versions also get a piano finish near the Bluetooth and voice command buttons – all adding a rich feel to the car. The dual tone dashboard is also premium looking along with the all-new centre console. There are silver coloured elements all around, instead of dreary black and they help liven up the interior. The instrument cluster consists of tachometer, speedometer, odometer and trip meter. The centre multi-function display, which was bright red in colour and sometimes jarring, has been replaced with a monochrome display which is much more soothing to the eyes. A trip computer however is only part of the top models. Like the predecessor, the Polo too has tons of space inside for the front cup holders, bottle holders and sunglass holders. The centre console also has a 12V power socket to charge your Smartphone and a parcel tray to keep it. Top versions come with a ‘Climatronic’ automatic air conditioning; with the base and mid-level variants having to suffice with manual HVAC with dust and pollen filter. In terms of entertainment, there is the stock sound with a CD/MP3 player with USB, Aux-in, SD card input and 4 Speakers. Again, the top-end ‘Highline’ variant gets Bluetooth connectivity for mobile phones and Voice Command (depending on mobile handset capability). Rear parking sensor is also part of the Highline variant, but lane-changing indicator is present across the range. The only disappointment is the legroom at the rear seats is still limited, and not much has been done in this regard. The updated Polo has all it takes to be the segment leader; it has a good interior, a powerful engine with the best-in-class torque figure and a good ride and handling package. The top-spec Hyundai Elite i20 is about Rs 27,000 dearer than the Polo and despite the six-speed gearbox and a nice engine it isn’t as involving to drive. Although, the Elite i20 packs in a little more features in comparison, it lacks the soul of a driver’s car. 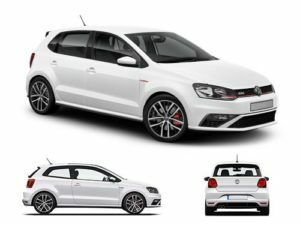 This is where the Polo seems like value for money and is the best driving hatchback one can buy at this price.Conversely, launching a good car is only half the game won and VW needs to back it with good service. This is one area that VW needs to improve as competitors like Maruti Suzuki and Hyundai are right at the top when it comes to after-sales service.